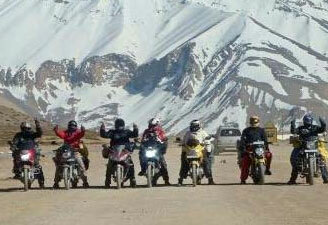 Explore the best of Ladakh by contacting our team today. 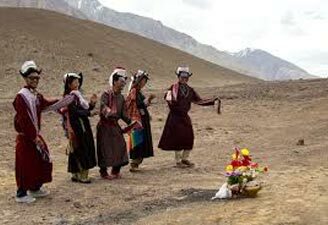 We plan Ladakh travel tours in all budgets and durations depending on the needs and budgets of the clients. 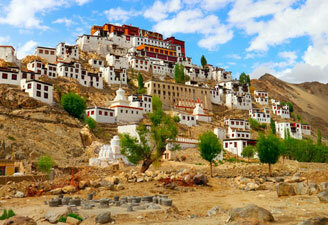 Our tour package to Ladakh offers a mix of nature, adventure, cultures and religions. 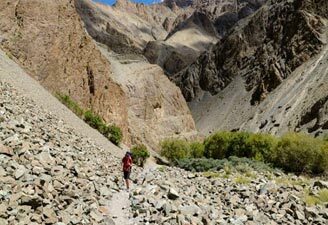 Ladakh tour in India can be planned during any season as the region remains blessed with pleasing weather all year long. 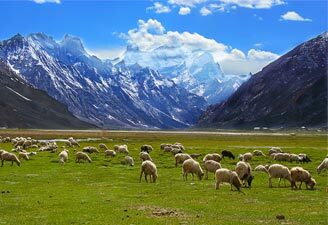 Leh Ladakh tour is great for group vacationers on an adventure trip. 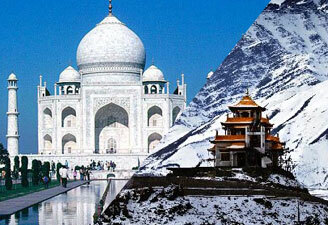 We have all kinds of Leh Ladakh tour packages to fit your budget and desires. 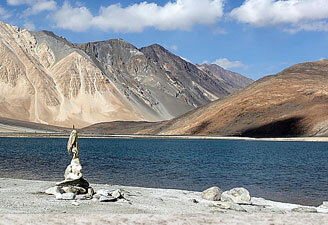 So find the best of Ladakh tour here. Visit Shey Royal Palace built in 15 century by King Namgyal. Visit Thiksey monastery which has lovely view of Indus valley, followed by visit to Hemis monastery biggest and richest in Ladakh. Overnight at the hotel in Leh. Drive down to the Indus, between Khalatse and the Shayok-Indus confluence. The special interest of this region is its Drok-pa inhabitants. A minuscule community of perhaps no more than a couple of thousand, their features are pure Indo-Aryan, and they appear to have preserved their racial purity downs the centuries. They are Buddhists by faith, but racially and culturally distinct from the rest of the Ladakhis. Overnight in Camps. Drive to Lamayuru with a wonderful view of moon land. Later drive to Leh enroute visit the famous monastery of Alchi. Later, drive to visit Bazgo Royal palace. Overnight at the hotel in Leh. 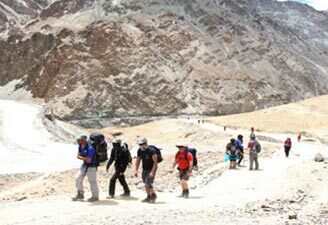 Drive to the mystical Nubra Valley over the exhilarating Khardungla Pass, highest point of the journey. The views from the top are spectacular. Continue driving up to Hundar where you will Camp for the night. Hunder and Diskit is home to a small population of Bactrian camels; these double humped animals, were once used as pack animals on the central Asian trade routes. On camel back, we pass through this dramatic high altitude desert, with its rolling sand dune and barren landscape, dotted with lush green river valleys. Later visit Diskit monastery and the Palace of newly constructed HH the Dalai Lama. Overnight in Camps. Full day of sightseeing to Samstaling monastery and the village of Samur. This is part of the old silk route and was used by trade caravans on their way to Panamik, the last village on this circuit. Panamik, now a sleepy village but was once a major trade centre for merchants. Later drive back to Leh for over night stay. Free in Leh small Market. Once it used to be centre of silk route traders. Overnight at Hotel in Leh. Drive to Chumathang stop at Upshi for checkpoint. Chumathang is famous for medical hot springs. On the way visit Sumdah village and another 55 Km drive will take you to Tsomoriri. The Lake is breeding grounds for numerous species of birds. Overnight in tents. Visit Korzok village with its houses and its gompa appearing like a mirage. The few barley fields at Korzok must be among the highest cultivation in the world. In the afternoon stroll around the Lake. Overnight in tents. Drive to Mahe village. The village is famous for the scene of shooting fountain and white clouds hanging upon. Drive to Puga Valley which is famous for Butan gas. Continue drive to Tsokar via Polokongka pass and visit Tsokar (small lake) and one can also visit Thugke gompa. Continue drive towards to Leh via Tanglangla pass. Arrive Leh in the evening. Overnight stay at hotel in Leh. Visit Saboo village and visit the home of oracle of Ladakh. Later you can visit Tibetan Medicine center. Overnight stay at Hotel in Leh. Day at leisure - for independent activities.